Tag nr. : 1211 greenMicrochip: 900008800224891D.O.B. 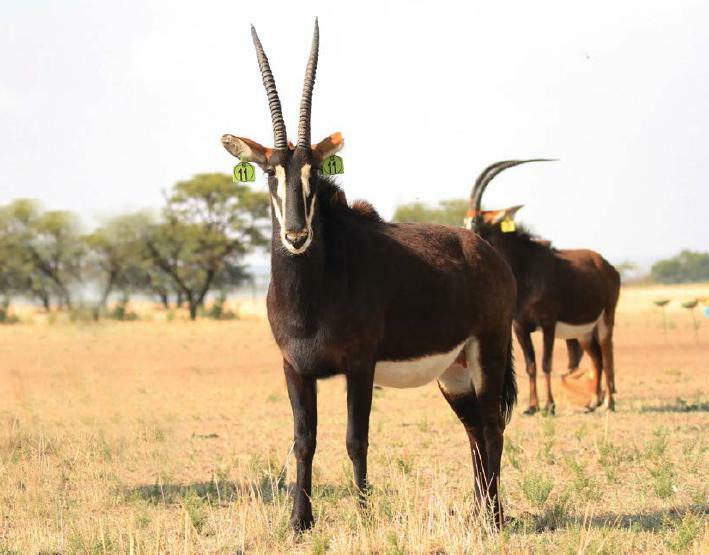 : 24-03-2012Bloodline: ZambianMeasured: 06-4-2016Horn length: L 27" R 27 1/8"Tip to tip: 9 1/8"Base: 7" 7"Rings: L 27 R 27Tips: L 9" R 9"Dam: L yellow 25 6/8" ZambianDescription: Cow in calf to 44" Zambian bull, Atlas (48" Jackpot Son).Available: Immediately.